It all started back in ’85 whilst I was the Roadshow manager for an entertainment company in the UK. The MD asked me to record some of the events that we did, on a 8mm video camera. I got the bug and a few years later I found myself at the BBC in London working in the Outside Broadcast camera department covering a whole range of shows and events. Since qualifying in Television Production at London University, I have worked on many broadcast productions both in the UK and internationally. In addition to my broadcast work I have enjoyed being involved in many corporate shoots and events. Ten years ago my wife and I came to live in New Zealand in a land they call The Bay of Plenty. Well that’s exactly what it is for we are surrounded by some of the most beautiful scenery in the world. The first thing I noticed that morning when we arrived here, was the sharpness of the light, the depth of the colours. I think because New Zealand has not been exposed to pollution at the same level as the northern hemisphere, it means there is no “haze filter” thus resulting in the deepest of blue skies, just fabulous ! 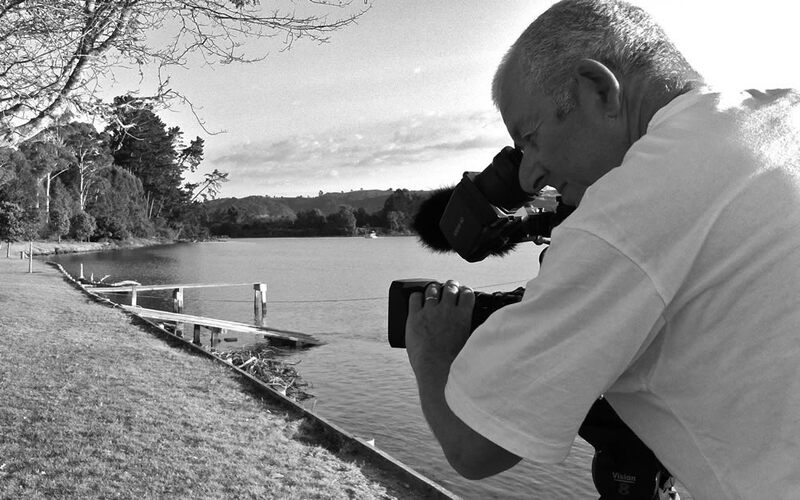 So now I shoot predominately for News & Current Affairs programmes here in New Zealand. I have my own camera in the shape of a full size SONY XDCAM and shoot in either HD or SD, PAL or NTSC. As required I can provide simple transfer or full post production. I like to think that I can create wonderful images that will help tell your story no matter how long or short that story may be.